This is a quote I often use when discussing boundaries in relationships and in the workplace. Here I’m tying it in to another subject– people who push/rake/shovel/blow their leaves and yard debris into the public right-of-way and streets. It’s a frequent sight this time of year, landscapers and homeowners with a machine strapped to their backs, swinging the attached hose back and forth as they chase leaves toward the street. Many of these people know that they need to clean up their own messes. Others do not. 1. Leaves and debris, along with everything else that gets onto the roadway, go down storm drains and clog them, which can cause flooding. 2. Technically nothing’s supposed to go down storm drains except surface water. Storm drains usually flow right to creeks, streams, and lakes, and in some places, even to the ocean. 3. Leaves and debris slow and can clog street sweepers. Obviously doing this can create driving hazards, such as drivers having to avoid or running into piles of leaves, and the leaves and debris making the roadways slick. Some argue that leaves and such from publicly owned trees that fall onto their property belong back in the ROW or street for the local government agency to pick up. Others argue that material on public sidewalks belongs in the street. Regardless of the rationale, in many places the adjacent property owner is responsible for maintaining the ROW and sidewalk. Common sense says you don’t cause the problems above by dumping it all into the street. Here in the Seattle area, I find it odd that we claim to be so environmentally sensitive, yet so many people think it’s quite alright to put the mess on or around their property into the road. Again, it’s bad for storm drains and associated waterways and it means the sweepers go slower or have to avoid an area that would normally get swept altogether. Some complain that they don’t have enough room in their yard waste bins or have to set out extra bags– then mulch. Compost. I’ve always ran them over with the lawnmower and let the yard soak up their nutrients. Some cities give away free bags and offer composting bins and/or classes. Some have programs, often called Adopt a Drain programs, that encourage citizens to keep the storm drains in their area free of leaves and debris. Some have cards to hand out to “leafers” in English and Spanish explaining why leaves don’t belong in the street. There are other ways. Most people don’t empty their kitchen and bathroom garbage cans where cars drive and expect other taxpayers to come pick up their refuse. But pushing/blowing your yard waste into the street is the same thing and legally might still be considered littering under your area’s ordinance. Know what’s allowed in your area and please don’t make other taxpayers pick up the tab because you didn’t want to clean up your own mess. Imagine how high your taxes might end up if concierge-level leaf/debris disposal service were extended to every resident. Thank you for helping keep our storm system clear, for being cognizant of how your actions might increase the risk of flooding at your neighbors’ homes, and for letting the street sweepers do their jobs. Moving stuff from your property and the parts of public assets you’re responsible for maintaining crosses boundaries, sometimes legal ones, and it’s best to take care of our own leaves in our own yards. Update, 11/23/14: The Washington State Department of Fish and Wildlife has the best post on what to do with your leaves that I’ve ever read. Mention of it originally appeared in a City of Kirkland publication. Their Crossing Paths newsletter is worth subscribing to. the Middle of Street. Talks wont help. Any ideas?? 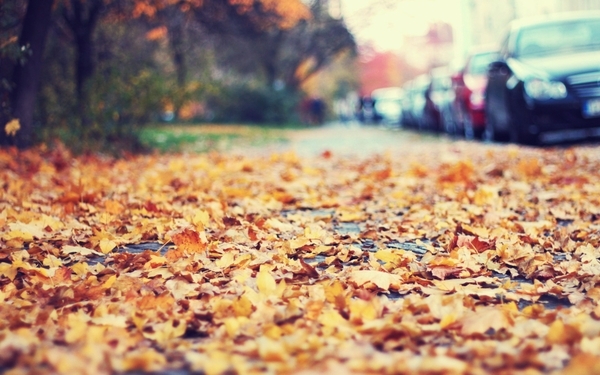 Property owners are responsible for removing and disposing fallen leaves on their property and from the sidewalks adjacent to their property. Seattle Department of Transportation Street Maintenance crews perform limited leaf cleanup in the fall in areas with the most street trees. Since it sounds like you have neighbors who believe they can put their debris into the middle of the street as if it’s a “right.” They don’t seem to think about or care that the leaves make the road slippery, clog storm drains, wash out to the lake or the sound, and so on. About a third of Seattle’s storm drains go to the sewer treatment plants too…more junk that has to be dealt with in those lines. I’d advise calling SDOT, 206/684-ROAD, to see if someone from the City can talk to the neighbor. Some cities will send someone who works in Surface Water out too. It never hurts to ask when you’ve already tried.